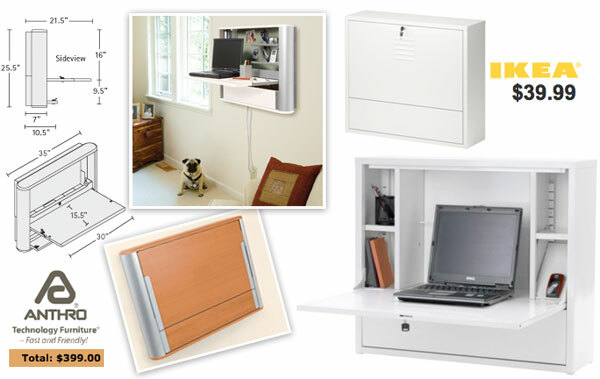 Back in October of 2005, I wrote about Anthro’s new eNook, a thin, wall mounted laptop/charging hideaway… it was a brilliant idea, but with a $399 price tag, it was a bit steep to prioritize over buying a proper desk or chair… Well today i noticed that three years later Ikea has jumped on the design (oh ikea, *shakes head*), and in standard Ikea fashion, they moved the decimal point to $39. Far more tempting isn’t it? 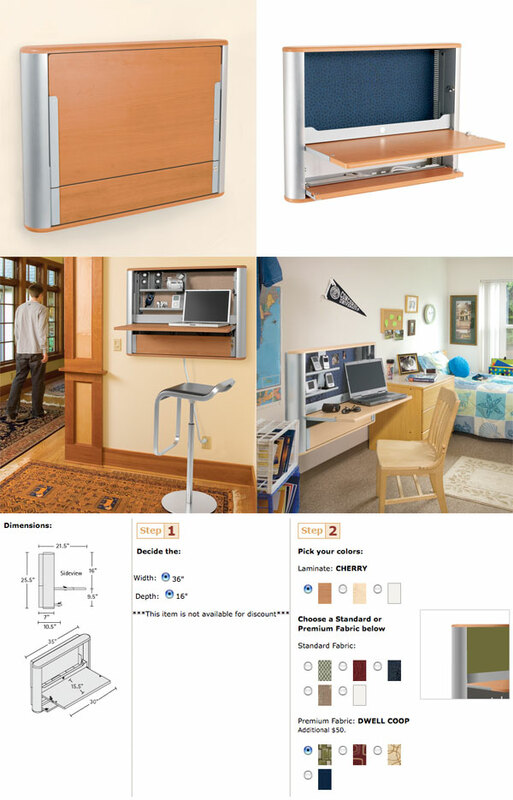 And while i don’t condone copying… at that price it is tempting to organize tech charging into a hidden box on the wall… See further comparison imagery below! Big differences other than price? Both = power strip in the bottom section! I could totally see that red IKEA one in a garage above the rolling red powder coated steel craftsman drawers! I just visited IKEA and checked out the laptop station. It feels like a student’s locker, metal with those slotted evnts. I thought it was workable but seemed more kid friendly than appropriate for my apartment really. The hinge was tight and difficult to use too. …even for design matters i’d prefer ikea in this case! by the way: ikea seems to have strong distinctions in pricing. here in germany it’s 49.- EUROs (about 77 dollars!!!). That’s quite a difference!! I doubt that it’s copying, no matter who made their product first. Several people seemed to have had this concept long before and constructed their own out of wood and whatnot. Wow! During the day I like to transition between sitting and standing workstations, but so far, my standing station designs have been clunky and awkward. This looks perfect! oooh so nice for small spaces!! 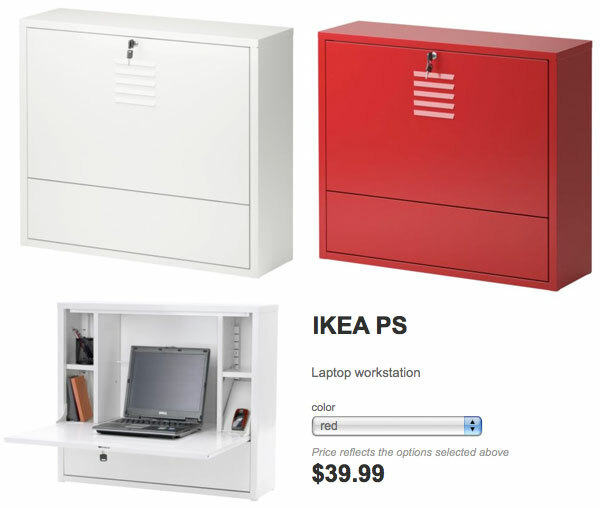 IKEA has been producing the IKEA PS locker cabs, of various styles, for many, many years. This is simply a new additon to the line.